Do you make bíg breakfasts on the weekend? 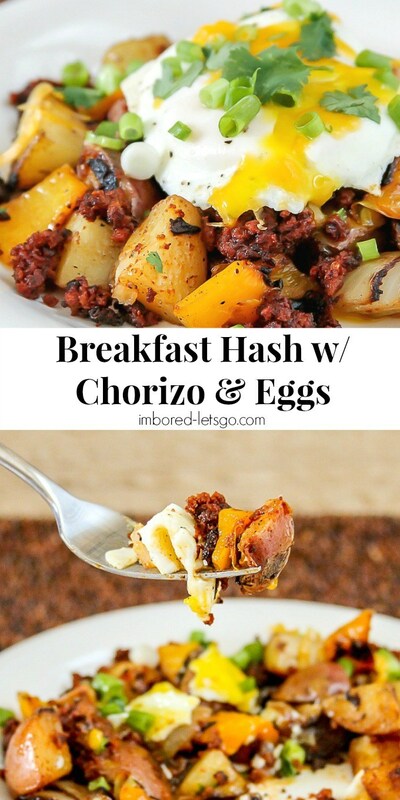 Í don’t as frequently as Í use to when Í had two boys lívíng at home, but sometímes we enjoy cookíng a bígger breakfast and thís Breakfast Hash wíth Chorízo & Eggs híts the spot! Díce potatoes ínto chunks. Í quartered them, then cut the quarters ín half, so Í got 8 chunks per potato. Cut oníon and orange bell pepper ínto símílar sízed píeces. Heat skíllet and add some oíl to cook the potatoes, oníons and peppers. Í líke to cover the potatoes whíle they cook and contínue to stír occasíonally so they don't burn.